Over a millennium has passed since humankind was driven to the brink of extinction by its own hands. Those who survived mobilised their settlements in order to amass rations in a shattered and befouled earth, and this ultimately lead to larger and stronger cities assimilating weaker ones in order to prevail—a process that has come to be known as Municipal Darwinism. However, there are those who oppose these ‘mortal engines’ known as Traction Cities or Urbivores; they are the Anti-tractionists. But amidst the chaos that unfolds between these two sectors is a young girl named Hester Shaw who seeks to wreak vengeance upon the man that slew her mother before her very eyes when she was but eight years old. Mortal Engines takes us into a post-apocalyptic Earth plunged into a maelstrom of madness—an unforgiving society that lives by one principle: the survival of the fittest. In this era, large cities have been set up on monstrous machines fuelled by scrap metal. Humanity has been forced to rely on the technology that emerged during the industrial revolution: the steam engine. Here, the movie does a fine job with world-building. It begins with Hester (Hera Hilmarsdóttir) peering through a telescope to find London looming in the distance. It then cuts to smaller settlements which are fair game for the great Predator Cities. It also gives us a glimpse into the London Museum, which holds numerous relics from the Screen Age (our current society obsessed with electronic devices), during which the Sixty-minute War broke out and turned the world into a nuclear wasteland. The sky city Airhaven and the Anti-traction League’s home, Shan Guo, are some of the other wondrous locations the movie introduces us to. Mortal Engines speaks of the gravity of human hubris and greed; how it entails devastation and mayhem. The movie gives us several examples of this while highlighting the treacherous world that the war has birthed: the resurgence of slave-trade, the subjugation of settlements and their resources, the conflict between Tractionists and Anti-tractionists, as well as the desire to rebuild and or activate Weapons of Mass Destruction (WMD) from the Screen Age. This symbolises how humanity’s fate is forever entwined with conflict—how, perhaps, no calamity great enough, could ever make us re-evaluate our methods or reasoning. One scene which stresses this point is a brief conversation between the main antagonist of the story, Thaddeus Valentine (Hugo Weaving), and Mayor of London, Magnus Crome (Patrick Malahide). Crome says that the lessons of the past cannot be ignored as if they count for nothing, to which Valentine replies, “There are no lessons to be learnt from the past. History doesn’t care; it is dead.” Another similar scene is when apprentice historian Tom Natsby (Robert Sheehan) speaks to Katherine Valentine (Thaddeus’ daughter, played by Leila D’Onofrio) about one of the WMDs that the ancients had used during the Sixty-minute War, MEDUSA. He says the ancients were no less stupid than the humans in their time; that they just had far worse weapons. But whilst it excels at world-building and visual effects, it is in its storytelling that the Mortal Engines ‘loses steam’. First, it must be said that the opening scene of the movie serves its purpose: it immerses the audience into a world in which the weak must be vigilant at all times lest they fall prey to the powerful. It builds suspense with CGI and scores to highlight the might of the traction cities tearing through the earth with their tank treads. However, following Hester’s failed attempt to assassinate Valentine, that takes place right after, the movie’s pace begins to falter, fluctuating from scene to scene. We see Hester and Tom wandering the Outlands before finding themselves in one perilous encounter after the other, but it is all for naught as the plot is predictable. Another flaw in this movie is the manner in which it approaches character introduction and development relative to the plot. Having a large number of characters could be messy, but we’ve seen films such as The Lord of the Rings excel even with this factor. Mortal Engines may have required additional runtime (or deletion of certain arcs) to address these issues, but the direction of the movie was clearly lacking substance. Placing the quality of the visual effects against that of the direction, it is clear that the former is the predominant feature. Visual effects are a key component of filmmaking, especially in genres such as Sci-Fi and Fantasy, but the lack of strong direction compromises a film’s flow and in doing so, exhausts its essence. Considering the acting, although there are many characters involved in the movie, not even a handful of them receive a moment to reach their full potential. In fact, the most relatable character in it is more or less not even alive; Shrike. The conclusion of this character’s subplot is rather anticlimactic, but the symbolism and flashbacks, as well as his actions towards the end, are presented more compellingly than that of the main character’s itself. 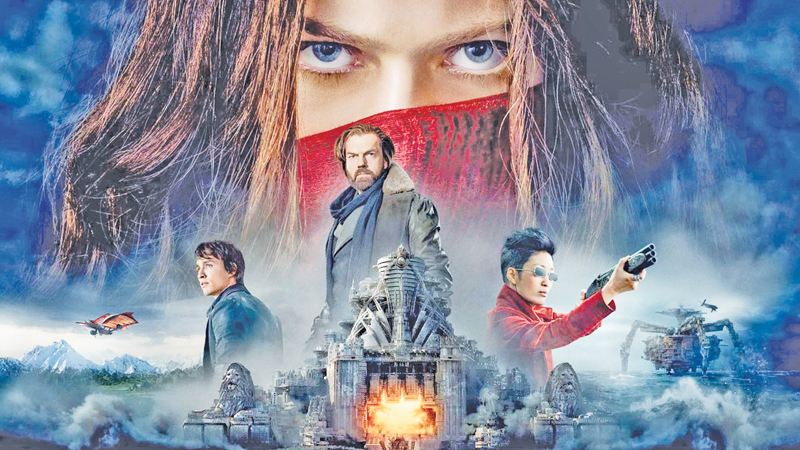 Without a doubt, Mortal Engines excels at immersing its audience into an enthralling world, but does so at the cost of providing a powerful plot—a flaw that proves to be a prominent Achilles’ heel.